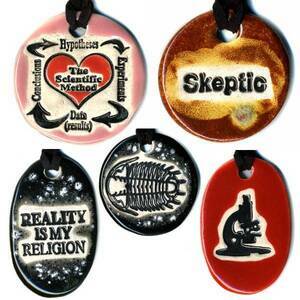 LA-based Etsy seller Amy Davis Roth of Surly-Ramics makes science and geek-themed ceramic jewelry. Skeptical Ceramics? Hell, why not? Posted in Misc and tagged ceramics, skeptical at 12:00 pm on October 18, 2010 by Niall Murphy.